Honolulu Festival is a fantastic opportunity for international students visiting Hawaii to interact with locals and people from all around the Pacific. 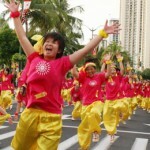 The Honolulu Festival offers cultural exchange opportunities for local and international students. 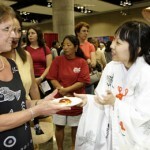 Various opportunities for cultural performances and activities are available at the Hawaii Convention Center and other venue around Waikiki. 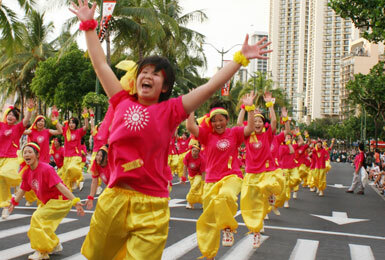 The first day of the Honolulu Festival is designated as "Education Day". 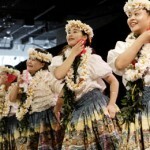 Hundreds of students from around Oahu schools gather at the Hawaii Convention Center to interact with the various cultural groups that are performing in the festival. Students have first hand opportunity to ask questions, interact and learn history, art, dance and language.